Willa gets a call from Daniel and rushes to Arthur's side. It seems that Arthur's vitals almost crashed and he has not communicated with him since. This of course worries Willa because she knows that inside of the Realm, Arthur has been on the run. Willa admits that Arthur would want her to focus on Holden but feels that right now she can't. Tom shows up at the family home to fix Holden's dirt bike and is greeted by Diane. At first Diane thanks Tom but then suggests that he should stop because she doesn't want to see Holden on the dirt bike anymore. Before they can get into an argument, Jeff pulls into the driveway. Tom marches up to Jeff's car and demands that he leave. Things start to get heated but Holden walks up the driveway and tells his father that Jeff only wants to apologise for what happened. Once Tom walks away, Jeff explains that he's learned more about yellow jacket and that they need to talk. The two agree to meet around the corner in 15 minutes. Luke gets a call from his parents about the fact that Holden left the house. He doesn't take the call seriously and refuses to rush over before hanging up. Luke and Riley are in bed together and he's busy complaining about Holden and everyone's fixation on him. Finally, Riley points out to Luke that all he seems to do is talk about his brother. Luke apologises and asks Riley how he can make it up to her and she asks for something orange. Luke reaches into his side table and pulls out a huge back of pills before offering Riley a small packet of orange pills. Jeff and Holden meet up and Jeff reveals that he's learned where Yellow Jacket lives and suggests that the two break into the house when Yellow Jacket leaves to take his daughter to her piano recital. Jeff and Holden break into the home, take some photos and copy the information on Yellow Jacket's phone. They then head out to the wine cellar where Yellow Jacket kept Kevin and find the zip tie used to restrain Kevin. They head back into the house but before they can pack up and leave, Yellow Jacket returns for his forgotten phone. Jeff manages to slip out the kitchen door and Holden is forced to hide upstairs with the little dog. Yellow Jacket knows that something isn't right when he notices that his phone is no longer hidden underneath a pile of newspapers but is instead sitting out in the open on the counter. Yellow Jacket makes his way upstairs, calling out for the family dog which barks in response. Holden tries to hush the dog and the stress of the situation causes his powers to go awry. When the Yellow Jacket makes it to the room that Holden was hiding in he finds it empty. The next morning when Holden wakes up, Yellow Jacket is sitting in the kitchen having a cup of tea with Diane. It seems that he found the wallet she lost at the grocery store. When Holden and Yellow Jacket get a moment together, Yellow Jacket suggests that they leave their families out of it for now. Yellow Jacket brings up the members of Holden's family, clearly threatening them. Holden orders Yellow Jacket out of the house and heads off to see Willa. Holden demands to learn now how to control his powers because he feels that his family is being threatened. Willa however tells Holden that his powers only work in the Realm and that what he can do now is simply a side effect of having been there. She expresses disappointment that Holden wants to use his powers for violence. Their talk is interrupted by a call informing Holden that Kevin has been found dead. Jeff identifies his brother's body in the morgue and decides that he is going to have a word with the Sheriff. Once back home, Jeff gets a visit from a military buddy who tells him that Yellow Jacket leads back to Hollow Sky and that the best way for him to get answers is to seek out the CFO Tess Shoemacher. Yellow Jacket is being questioned by the sheriff about Kevin's death. He argues that they live in a small town and that anyone could have been driving behind Kevin. The sheriff ups the ante by informing him that they have a witness who has fingered him as having something to do with this. Yellow Jacket goes on the defensive and claims that Jeff and Holden have become obsessed with him and may possibly have broken into his home. Yellow Jacket is just leaving the station as Holden arrives. Yellow Jacket hops in his car and drives away, with the full knowledge that Holden is following him on his dirt bike. Yellow Jacket pulls over in a relatively private area and gets into it with Holden, who demands to know if Yellow Jacket is responsible for Kevin's death. When Yellow Jacket refuses to answer, Holden gives him a beat down as his powers go off, adding more strength to each blow. Holden stops when he realises that Yellow Jacket isn't fighting back. Yellow Jacket explains that Holden is too important and that is why he isn't defending himself. A frustrated Holden takes off. Willa is with Arthur when he codes. Fearing for Arthur's life, Willa runs to the secret room to induce a coma so that she can help Arthur in the realm. When next we see Willa, she's in Yellow Jacket's hospital room. She increases the morphine drip in an effort to kill him. Yellow Jacket asks if Willa knows what happened to the others Arthur brought into the Realm and claims that neither Willa or Arthur can control Holden. Yellow Jacket suggests that Willa should send Holden to the corporation he works for, before screaming out for help. When the nurses rush in, Willa leaves the room. When Luke and Riley return to the dorm, they find Holden waiting for them covered in blood from Yellow Jacket. We're only four episodes in and already this show feels stagnant. I don't understand why the writers are beating around the bush explaining about Hollow Sky and how it relates to the Realm and Arthur. The big reveal about Kevin's death feels anticlimactic given that we were pretty much informed in the last episode that Kevin is dead. If a show is treading water after only four episodes, this doesn't bode well. It looks like we are going to see a bit more of Jeff which means that this show which is all about the cis het white chosen one will have two characters of colour, that is if you can call Riley a character and Jeff. Tess Shoemacher is a WOC but thus far we've only seen her once and I have no idea how large of a role that she will play in the series. In terms of inclusion, Beyond leaves so much to be desired. Luke clearly has some issues with drugs which I expect that Beyond will explore in the upcoming episodes. While the idea of the Mathews family being in turmoil because of Holden's coma is good and somewhat interesting, it should not supplant the overarching plot. 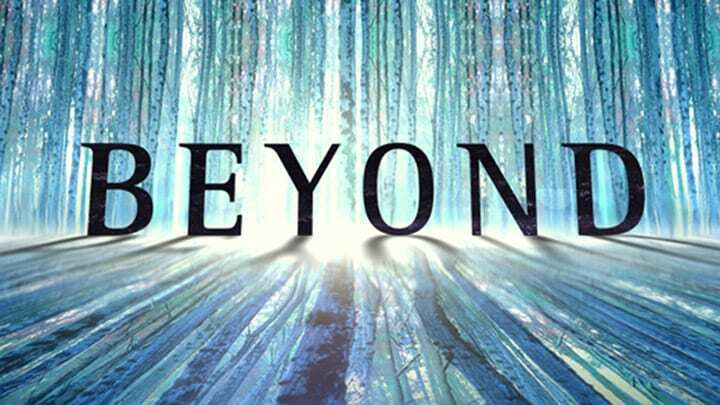 Beyond doesn't need anymore distraction because it's already moving far too slow.